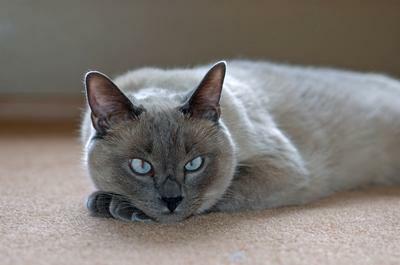 Ling is a traditional blue point Siamese that my husband and I rescued from an animal shelter a day before he was due to be euthanized for being too aggressive. It took patience and a few months, but he has become a textbook loving, sometimes overly affectionate, boy who will beg relentlessly until he receives the affection he craves. He is a big boy, but it does not stop him from trying to crawl into our arms to be cradled like a baby, even when we have another cat already in residence on our lap.